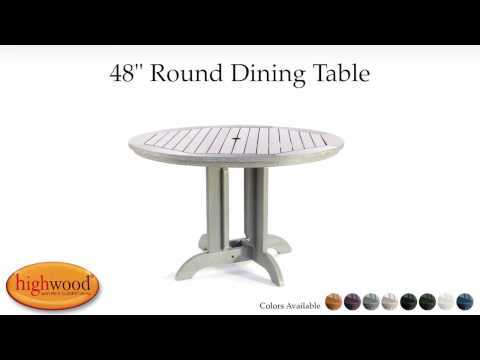 This beautiful 48in diameter square dining table (with an umbrella hole) is really an impressive piece that will serve as an elegant focal point for your outdoor dining area. You can choose to surround it with any of the highwood® dining chair styles to create a set that fits your own outdoor living space. In addition to dining in style, our material is friendly to dirt and grime so clean up is a breeze. Dining separates can also be purchased to expand your set further. Assembly is required (see assembly guide). Please note that this is a larger item that ships LTL.